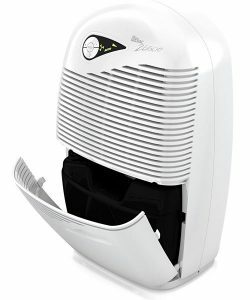 Ebac 2650e Dehumidifier Review - Can it Beat Newer Models? The Ebac 2650e has been a mainstay of the UK refrigerant dehumidifier market for over a decade now. With its large 18 litre per day water capacity, Smart Control system and 3.5 litre water tank, it’s not hard to see why. 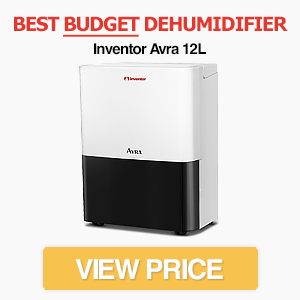 But can it match newer dehumidifiers for performance and value? And is it efficient at extracting water quickly? Keep reading this Ebac 2650e review to find out. 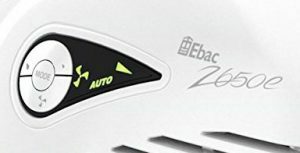 The Ebac 2650e is a decent dehumidifier with a high extraction capacity and reasonable water tank. It's let down by average extraction speeds and noisy operation though. While the appearance of the 2650e is functional rather than stylish, it’s not an ugly dehumidifier. It has a hidden water tank that’s accessed by the front panel, which provides a smoother appearance than some of its competitors. The dimensions of the 2650e are 34 x 54.5 x 26.5cm (WxHxD). 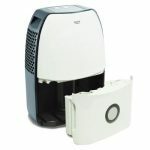 It’s not the bulkiest dehumidifier we’ve reviewed but it’s also not compact – especially in terms of height and depth. For comparison, the smallest desiccant dehumidifiers can be almost 10cm thinner and shorter. This isn’t a complaint, as the large water tank and powerful compressor naturally require more space, but it’s worth keeping in mind if you want to place the machine in a small room. A removable filter is included with the machine. This removes dust and other small particles from the air. While carbon filters provide cleaner air, they can’t filter smaller allergens and bacteria like a HEPA filter or ionisier can. On the plus side, the filter is easy to clean and there are replacements available. Ebac describes the 3.5 litre water tank as large, but it’s around average for a dehumidifier with an 18 litre extraction capacity (yet still bigger than the 3850e). Even so, the 2650e won’t need to be emptied as often as smaller dehumidifiers. The water tank is front loading and enclosed. This reduces the chance of spillages and also improves the aesthetics of the machine. It’s easy to access via the front panel and there is a warning light when it’s full. Like most dehumidifiers, there is also the option for continuous drainage via a hose. The 2650e is a powerful refrigerant dehumidifier, so it’s no surprise that it weighs 13kg. This reduces portability, however, so you probably won’t want to carry it up and down stairs too often. A built-in handle is included, although it doesn’t come with castor wheels. This is a shame, as it means you’ll need to pick up the heavy dehumidifier just to move it across the room. The Ebac 2650e does a decent job of removing water from the air. It’s not the fastest, but it extracts moisture quick enough in warmer conditions. The good news is that it’s also reasonably fast in cooler environments for a refrigerant, so it’s a solid “all-round” option (although we wouldn’t recommend it for unheated rooms such as garages). As it’s a refrigerant dehumidifier, you would expect it to work best in warmer and humid conditions. Ebac claims it can function down to a temperature of 3 degrees Celsius, but the efficiency will be dramatically reduced. This isn’t an issue with the 2650e specifically – it’s a result of how refrigerant dehumidifiers work – but is important to keep in mind. One of the advantages of the 2650e is that it comes with Ebac’s Smart Control system. This, according to Ebac, improves on the standard humidistat feature found on many dehumidifiers by increasing energy efficiency. Once turned on, the dehumidifier will monitor the air humidity and only start working when needed. Additionally, the 2650e has two fan speeds. If you want to reduce energy usage or noise, the lower fan speed is a useful feature – although it’s not as quick at extracting water. Most people run the machine on full power to bring humidity down to a manageable level and then use the Economy function to maintain it. With its powerful 18 litre extraction rate, it’s built for homes of 3-4 bedrooms or up to five people. 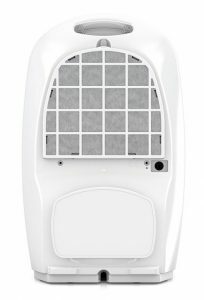 The 2650e dehumidifier has a noise level of 46dB. This makes it one of the noisier refrigerant dehumidifiers on the market. If you want a dehumidifier to use while you’re sleeping or watching TV, the 2650e probably isn’t the best choice! We’re impressed with the energy efficiency of the 2650e. It has a maximum power consumption of 180W – even when on “High” fan mode. This is less than most dehumidifiers and means it’s cheaper to run. The Smart Control system also helps reduce energy usage by only switching the machine on when humidity levels rise. While similar features are found on many of the best dehumidifiers, Ebac claims Smart Control can save up to £50 per year. As it’s over 10 years old, the Ebac doesn’t come with some of the advanced features seen on newer models. It also doesn’t include a laundry mode, although a boost option is available. Auto shut off. When the dehumidifier is full it automatically switches off and displays a warning light. Automatic defrost. If the coils start to freeze, the 2650e will automatically defrost while minimising wasted energy. Boost function. An 8 hour boost mode is included that’s great for quickly reducing humidity. The Ebac 2650e comes with a two year warranty for labour and parts. It has a simple LED display, allowing you to quickly see various settings. It’s very straightforward to use, with a button for changing the mode and another for fan speed. Of course, the drawback to this simplicity is that it doesn’t include advanced features. We like how the LED display is on the front of the machine though, as it means settings are always accessible and easily viewable. A strange quirk of the 2650e is that there isn’t an obvious “On” button. Instead, you need to use the fan button. This isn’t a major problem, but is worth remembering if you buy the machine and are wondering how to turn it on! The Ebac 2650e dehumidifier sits firmly in the “mid-range.” It’s not too pricey but there are also cheaper options available. Even so, we think it provides reasonable value for money, especially with the Smart Control system and large extraction capacity. 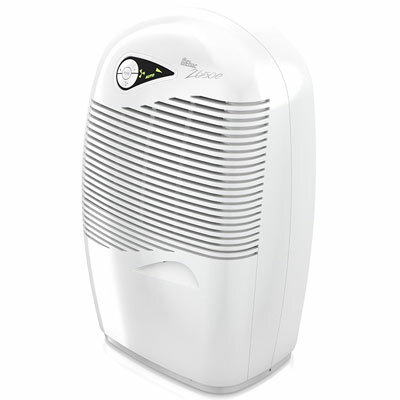 Overall, the Ebac 2650e dehumidifier is a solid option for large homes. It has a large extraction capacity, 3.5 litre water tank and an effective automatic mode. Ebac are also experts at producing dehumidifiers for the UK climate, which is an often overlooked factor when choosing a machine. It’s not perfect though. 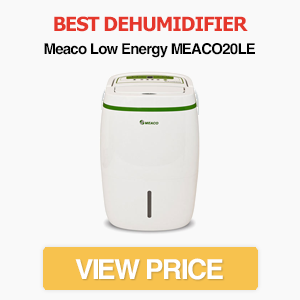 There are dehumidifiers that extract water much faster than the 2650e at a similar price. It’s also quite noisy and the lack of castor wheels is a problem considering the heavy weight. We’ve also read more reliability reports than we would expect from an Ebac model. For these reasons, it’s difficult to recommend the 2650e over other options. It’s not a bad dehumidifier, so we’ve given it a reasonable score, but for a four bedroom home the EcoAir DC18 is a better option. 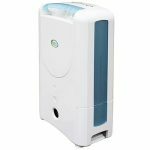 You can also view our list of the best dehumidifiers for more alternatives.